Easter is a Springtime festival. At this time Christians celebrate the resurrection of Christ. Traditionally Easter is associated with Spring and fertility. The Easter rabbit being a symbol of fertility and the Easter egg representing fertility and new life. The word Easter is believed to be derived from the Anglo-Saxon goddess of the dawn and Spring Eostre. Easter in the West is a moveable feast. Easter Sunday follows the full moon on or after the Spring equinox 21st March. This year Easter is celebrated on the 21st April. In the East, Easter falls according to the Passover and is fixed. This year in the East, Easter will be celebrated on the 28th April. Traditionally in Celtic lands this was a family day. Eggs which had been saved over Lent were now decorated and egg rolling was practised. This evolved in the 19th century to gifts of chocolate eggs. New for this Easter fabulous products made in the UK by Kate Sproston Designs. Beautifully embroidered gifts and products for the home. All of which are made with care from the highest quality materials available. Spectacles cases and Table napkins make a great gifts for Easter! Highly recommended for Easter are our range of beautifully embroidered gift bags. They are ideal for giving gifts whether it's a birthday, wedding, Mother's Day, Valentine's Day or just to say 'Because I love you'. The gorgeous gift bags are ideal for Easter gifts including chocolate eggs. All items can be gift wrapped and sent with a personal message at no extra cost. Our beautifully embroidered Celtic table runners make a lovely gift to grace the Easter dining table. High quality tea towels and coasters in striking and colourful designs make a lovely gift for Mum this Mother's Day. 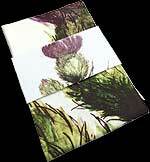 Available in a selection of designs and all beautifully packaged. Always popular at Easter are our Celtic glassware and items from the Winged Heart range of stained glass giftware, as well as jewellery and bookmarks from Sea Gems. The selections below make ideal Easter gifts. D & J Glassware is one of the UK's leading suppliers of artistic glassware, with a passion for design and quality. Their Friendship glassware range for the home and garden include Friendship Gazing Globes, Friendship Oil Lamps, Friendship Footed Candleholders, Friendship Wishing Drops, Friendship Celebration Bubbles, Tree of Life Glass Friendship Balls, Friendship Hearts, Farmyard Friends Fused Glass Collection, Penguins and Puffins Fused Glass Collection and Fused Glass Celtic Crosses. The crosses and chickens shown here are currently on Special Offer making them great value Easter gifts. The Friendship Tree of Life mouth blown glass balls are very popular choices with our customers. Each one contains strands of glass to represent a tree and like the trees in the forest, no two Tree of Life balls are identical. A handmade and unique perfect gift for a special person. The New Beginnings Tree of Life Glass Friendship Ball displayed to the left represents a new chapter in life and the Spring Tree of Life Glass Friendship Ball to the right represents Spring, when trees are covered in fresh green leaves. An ideal gift for Easter is the Friendship Glass Globe Scent Diffuser. Each mouth-blown glass globe is individually made by an artisan glassblower which makes it unique. Available in 4 gorgeous colours – amethyst, blue, green and white - and including a 200ml bottle of English-blended fragrance oil. Each globe colour has its very own fragrance oil. All tastefully packaged in a gift presentation box, they make the perfect stylish gift for Easter. Scent refills available to purchase separately. The Friendship Guardian Angels are in our Fused Heart collection. Each one is handcrafted, no two are the same. Supplied with a tea light they make a perfect gift for Easter. This Easter give a Wishing Drop to wish your loved ones health, wealth, happiness and good luck. Supplied with a white satin ribbon and Wishing label. Each item is boxed and available in Amethyst, Blue, Kaleidoscope and Rainbow vibrant colours. If you wish to be kept up to date on all our products and promotions please join our mailing list. Celtic Glass Designs offer a range of stunning hand painted glassware and matching embroidered table linen for all occasions - Birthdays, Corporate and Special Events, Anniversaries, Weddings, Burns Night, Valentine's Day, St Davids Day, St Patricks Day, Mother's Day, Easter Sunday, May Day, Father's Day, Halloween, Thanksgiving, St. Andrew's Day, Christmas and Hogmanay.